"By performing acts of service, we can shape a Nation big enough and bold enough to accommodate the hopes of all our people. Across our country, volunteers open doors of opportunity, pave avenues of success, fortify their communities, and lay the foundation for tomorrow's growth and prosperity. They are often equipped with few resources and gain little recognition, yet because of their service, our country is a better and a stronger force for good." We, together with the President, honor volunteers this week. 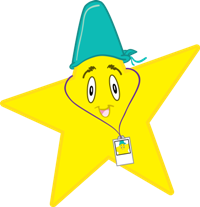 Please be sure to let us know about volunteers that you know by adding them as a Care Star. The very nature of them being a volunteer makes them a Care Star.